It is now November. The clocks have gone back, Halloween has just passed us and the nights are drawing in making me ready for hibernation! 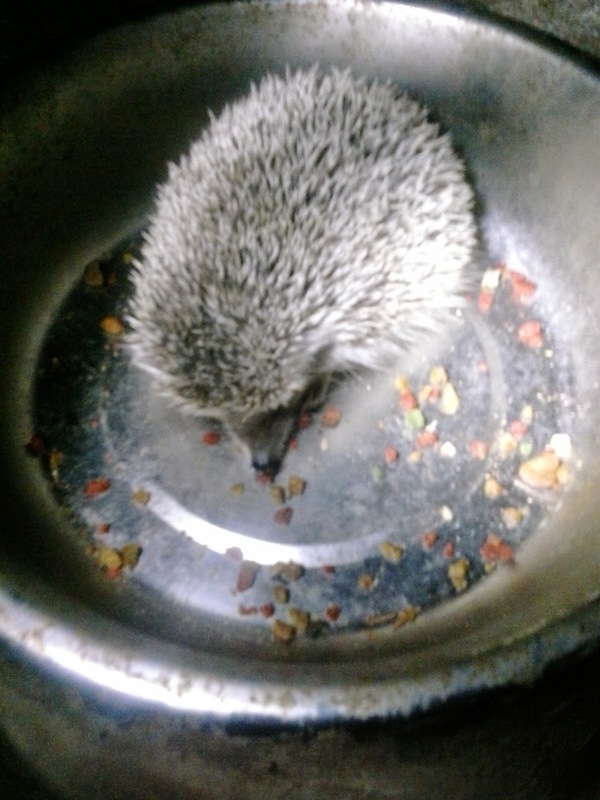 We currently have a small, prickly visitor to our cat food bowl out the back, I had to remove him as the cats were hungry the other night. After removing him/her from the bowl, it scurried off so fast, I missed where it went! The new hens and chicks are doing really well. 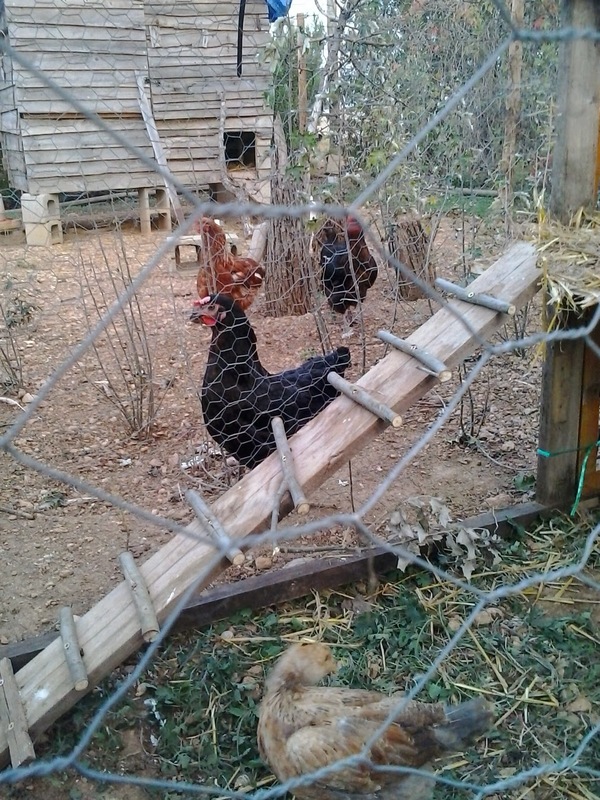 One of the new hens is laying now. Very small white eggs, with each one she lays they are getting slightly bigger. 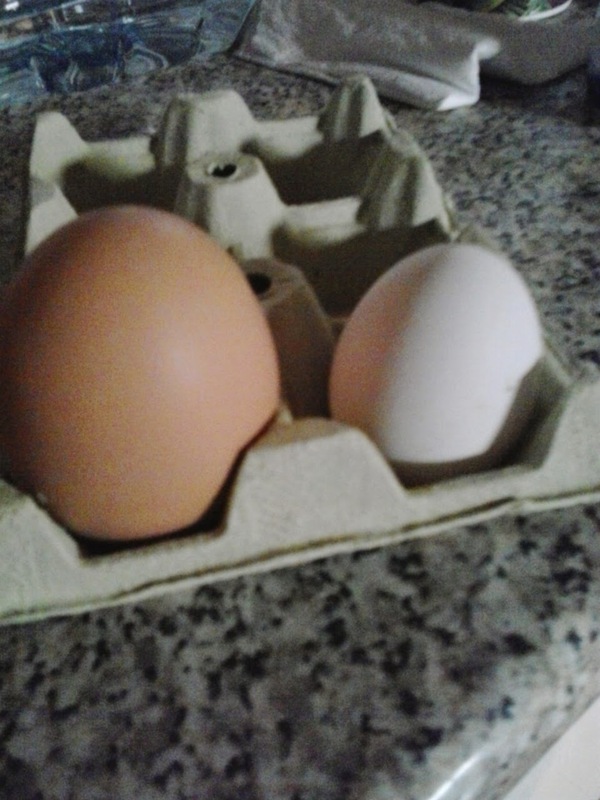 The one on the left is from one of our older hens. 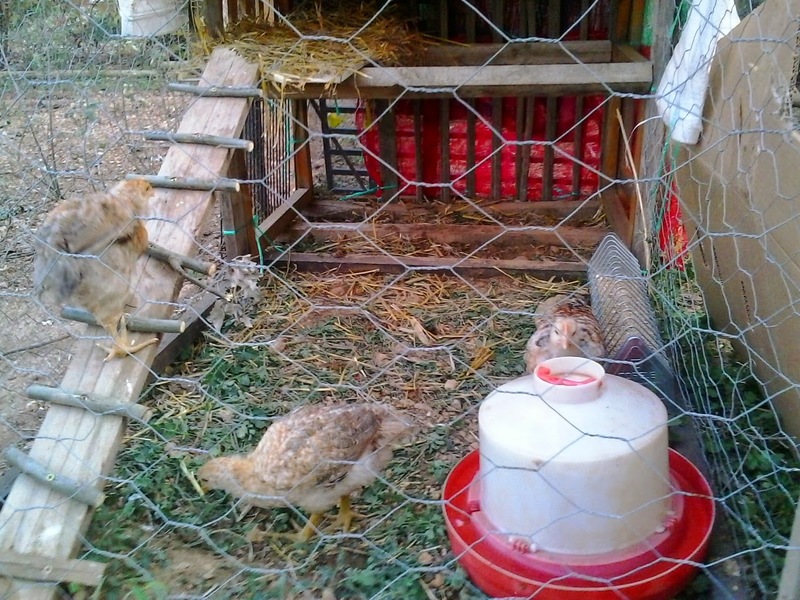 The white one is the first one our new white hen laid. I need to get out and try to do a little weeding if I can this weekend. With such warm weather and the odd storm, the weeds are springing up all over the place. The nights have a definite autumnal feel about them now and the house feels very chilly so it could be about time to start lighting the fire for the evenings. Cosy. Having said that, during the day it is wonderful on the beach if it isn't too windy. People are still going into the sea, although I'm not brave enough now - bit chilly for me without a wetsuit. I leave you with a few extra photos of the past week. 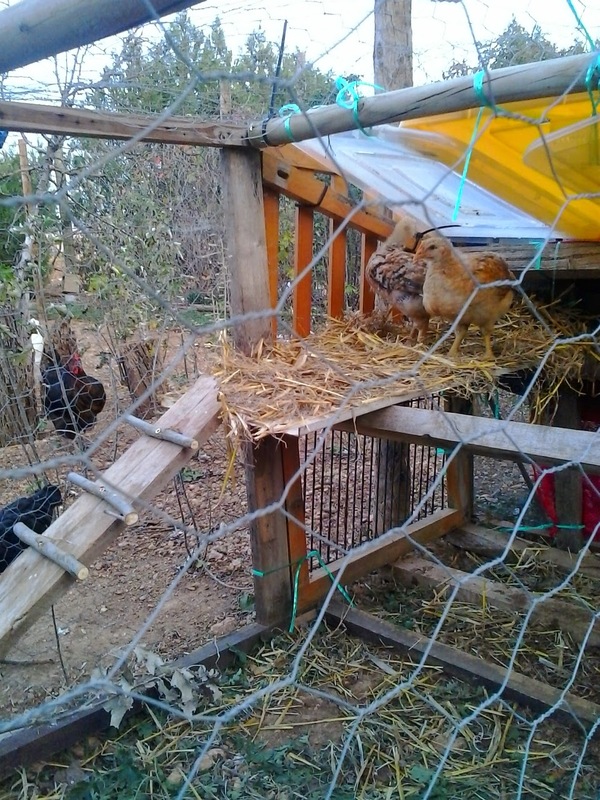 The chicks up on their balcony. I have a big tarpaulin over part of their pen now, in case of rain!! 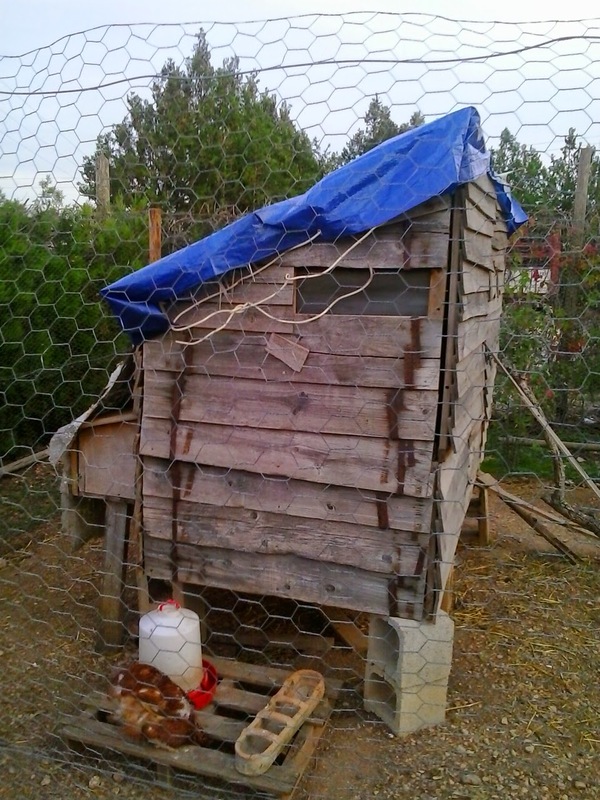 The new tarpaulin on the roof of the hen house. I am amazed the house is still standing actually! 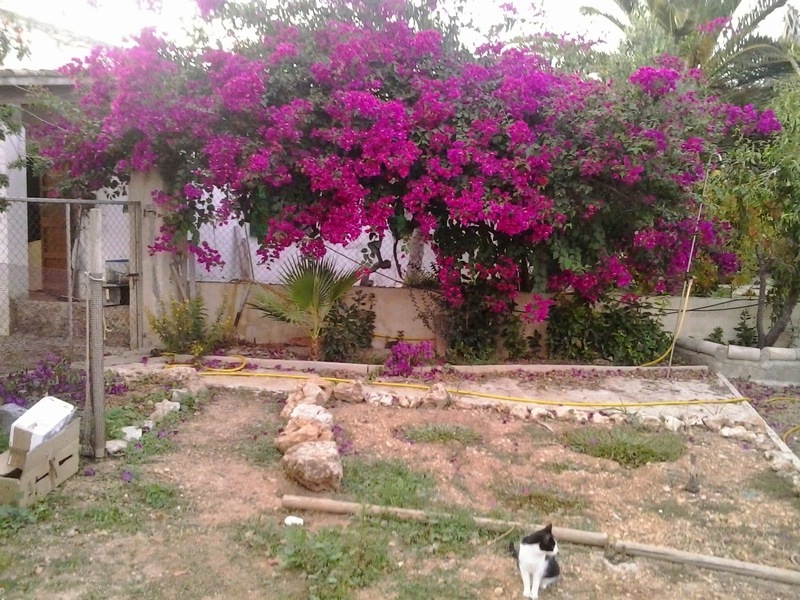 The bougainvillea is still looking good - it will be cut back this winter. 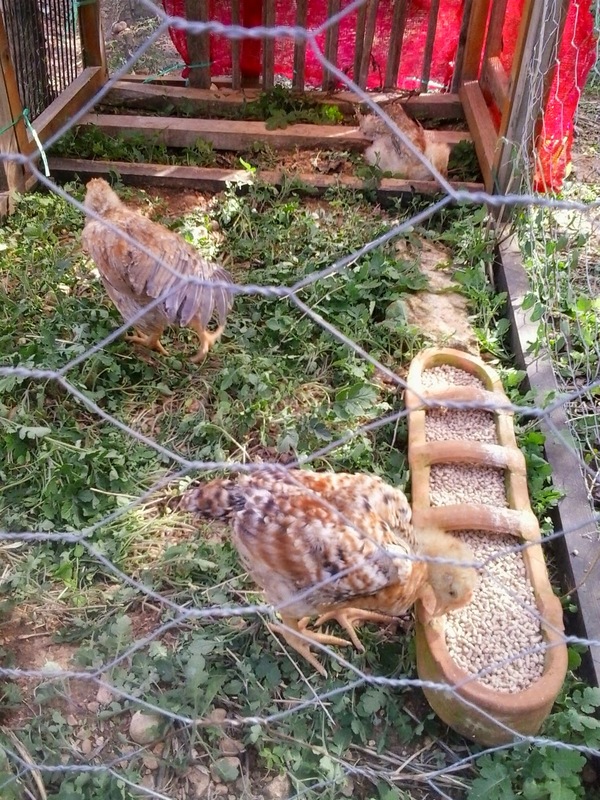 The chicks enjoying their run. Thank you Daniel, I am glad you came by, I hope to get more done, but I seem to be so busy at the moment.